Choosing a home away from home for your child is one of the most challenging and often emotional decisions you will need to make. We understand that you want the best for your child and the assurance that they will be safe and well nurtured, loved, provided for and given the best start in their education journey. We fully embrace this and strive to be the best early childhood provider in our communities. Quality is our aim at every turn and we are deeply passionate about providing the best experiences for children to help them embrace learning, become confident and self-assured and develop strong, moral social skills.We only employ qualified teachers or teachers in training to maintain our high quality standards and offer superior care by maintaining better than government child to adult ratios to ensure your child has the best level of care and quality interactions. With our home away from home, deep bonds are formed on both sides and families return to us time and again with siblings and friends, or even just to return to say hi after their child has left for primary school. Parents and families are always welcome. As a team, we feel deeply privileged to work with the many families and children across our communicates and thrive in the knowledge that what we do and how we do it, makes a positive difference in so many lives. However, don’t just take our word for it, come and visit with us and see the wonderful environment, meet with the passionate staff and feel the warm, welcoming and nurturing atmosphere that we are known for. We look forward to seeing you soon! Our operating hours are from 7:00 am – 6:00 pm Monday to Friday. We are open all year, only closing for public holidays. We offer a range of sessions from full days or fulltime across the week, to part time with half days or sessions. If you would like to know more about our fees and services, please contact the branch of your choice and make a time to visit with them. Here at Just Kidz we highly value our relationships with our family and whānau and see this as a vital key of our children’s learning. We strongly believe that getting to know children and their families is an important first step and includes respecting and valuing the important role of parents and whānau as the child’s first teacher within children’s learning and development. We are committed to strong relationships and a great partnership with our Parents and Whānau. We ensure our relationships are warm, trusting, respectful and affirming and believe that this is essential to developing children’s social ability, and emotional well-being. Being personally and warmly greeted when a child is being dropped off or collected from the centre is really important. We want children and their families to feel welcome and comfortable, encouraging them to be a part of our programme. Children’s individual needs and circumstances and that of their family are taken into account at these times to ensure the smoothest transitions to and from the Centre. We believe communication is so important — we are all approachable and accessible for parents at times that suit both parties. Through informal daily conversations, or through our online portfolios, the focus is on our children’s social and emotional well-being. This is also evident through daily routines for infants which include detailed information about the child’s health and well-being. Communication with whānau is also done by emails, face-to-face, our website, newsletters, phone calls, questionnaires, whānau hui and our daily dairies. How your child’s day went is essential information. We appreciate the sacrifice it can often take to be away from your child and we want to ensure that you are informed of all the fun things they have experienced and any milestones they are reaching or even any areas they need support with. Through informal conversations at pre-school, we will share with you such things as what they may have said during the day, what play and activities they became involved with or new skills learnt; their behaviour, feelings, general well-being and perhaps a piece of art work or something they made could be shared with you. We want you to be a part of their day and experiences and its great to be able to talk over their day with them on your way home. These conversations often take the form of quick chats during session time, but longer conversations can be arranged at a mutually agreed time if you need to discuss anything in more detail. We are here to help you where we can or refer you to a person who is more qualified to do so. Portfolios will also be lovingly created to share many of these moments, memories and milestones with you that you can keep and also share with extended family online. In addition to this, we provide more formal opportunities during the year where we can meet and discuss your child’s progress and celebrate their learning. We love hearing from you about your child’s interests and achievements at home so be sure to tell us any news, it can be very affirming of what your child’s skills and interests are at the time. Parents are welcome at any time of the day and are free to join in with our daily activities and review the online photos and Learning Stories. From time to time there will be events in the Centre for special occasions or outings out of the centre where you will be invited to take part if you wish to or are able to do so. We love having parent helpers at these events ands look forward to welcoming you on board for these fun occasions. We believe inclusive assessment practices are important to working in partnership with parents and whanau. Children’s online portfolios that document their learning are used as a basis for conversations between teachers, the child and the parents. These are accessible 24 hours, 7 days a week online. Parent and whānau contributions are constantly encouraged along with parent involvement in deciding next learning steps for their child. With this, the Centre is sensitive to each child’s individual needs. If your child has any additional or special needs, (e.g. dietary, cultural, medical etc. ), we would encourage you to speak to the Manager or Head Teacher about how we can best accommodate and support them. We are here to help you where we can or refer you to a person who is more qualified to do so. We have a Parent Library with a selection of informative books, videos and the Centres Policies. If you wish to borrow anything, please ask us to sign it out for you. It is very important that parents keep us informed of any changes to addresses and phone numbers, including work details. Please let us know immediately if any of your details change. 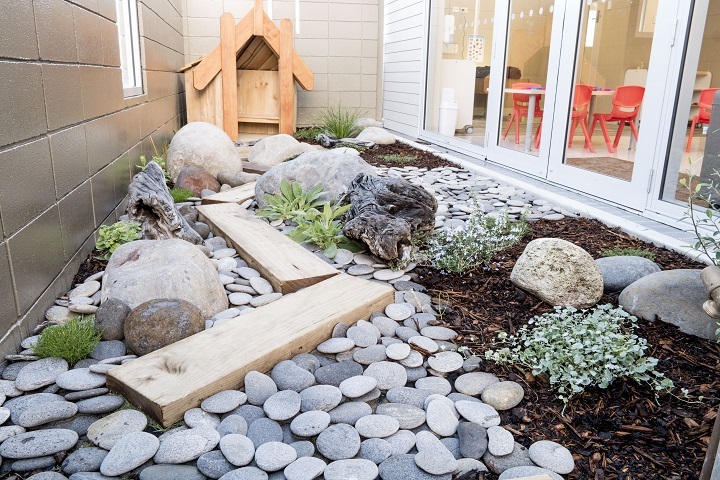 Choosing the best pre-school for your child can be challenging. It can be a time of anxiety as parents find the best option and deal with their own feelings of worry, guilt or anticipation. Children can also be anxious, excited or nervous. At Just Kidz, we understand this and endeavour to support you through this transition into beginning our pre-school. We will communicate with you regularly during the settling period to let you know how your child is settling. If your child becomes very distressed at any point, we will contact you. You are also welcome to phone us and check on your child to see how they are settling. Our staff are warm and loving and will comfort your child, making sure they feel welcome and help them become engaged in the many exciting learning and play opportunities we have to offer. If your child has a special comforter, you are welcome to include this during their settling period. Remember it is the most natural thing in the world for children to miss their parents in these first days and weeks. You are their favourite people! You can ease this process and help this transition flow more smoothly by preparing your child prior to starting. Talk to them about pre-school and the fun things they will do there and the friends they will make. If they do not have a bag yet, get them to help choose one to put their belongings in. 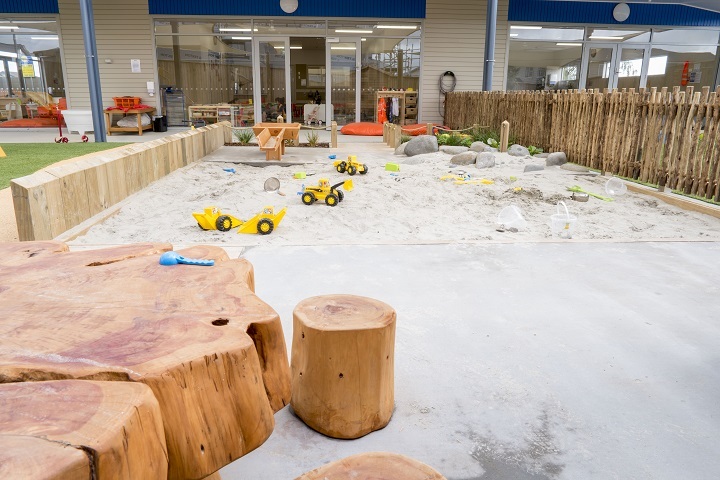 Explain that it is a special place for children to play while mums and dads are busy dealing with jobs or tasks and that you will always come back to collect them and see all the fun they have been having. Visit the pre-school together and get to know the teachers and staff prior to their starting day. Letting your child move away from you to play during these visits is positive, so encourage them to explore if they are ready. Fill in the ‘All About Me’ form so the staff can develop a more personal relationship with your child, understanding their interests and what helps to make them comfortable. Let us know of any routines that you currently have for your child. We will try to keep your child’s routine as similar as possible within our setting where we can. Let us know if anything changes, which is especially important for little babies if their sleep times change or bottle needs etc change. This is the hardest part of the day and we totally understand what an emotional challenge this can be. Do your best to be very brave for your child and show them that they will be fine. Children pick up on our anxiety very quickly. If you show your child that you trust the staff and are happy leaving them with us, they will quickly develop that trust also. Always say goodbye. This helps your child feel secure, gives them an opportunity to have that last hug and helps them understand that you go, but will come back. If we try and sneak away to avoid tears, it can create feelings of insecurity and high anxiety in your child. They can get a bigger shock looking for you, only to find you have disappeared. It can be very worrying for them. It is important that they hear from you that you love them, you are going now and that you will come back in a while. Our staff will help you and comfort your child and help them feel better. Remember you can call us, and we will also contact you, to update you on how your child is settling. Plenty of changes of clothing (3), especially when toilet training. Please send your child in appropriate clothing for play and label their belongings clearly. Do dress your child in appropriate clothing. Aprons are supplied for children to wear; however, they may still get paint, water etc. on them. Messy/water play is fun and educational and is a part of our programme. Please do not send children in their best clothes, we cannot guarantee they will come home clean. Children need to be able to explore fully without fear of ruining a best outfit. 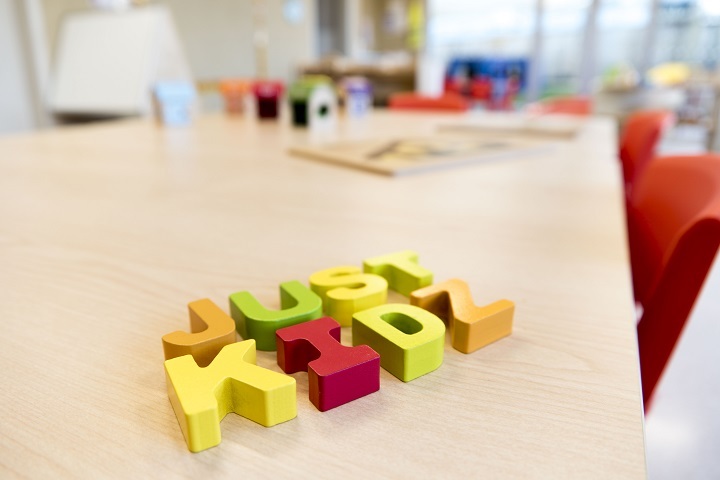 At Just Kidz, we have policies and procedures set in place to ensure the safety and well-being of the children in our care. These are available to read in Centre at any time and enrolled families will be consulted on these when they are reviewed. We have included some of our Policies and their outlined procedures here for you to read.